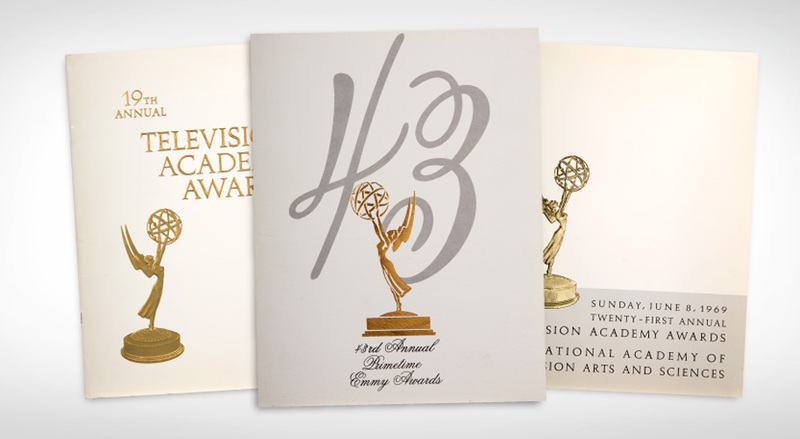 The Television Academy (home of the Primetime Emmy® Awards) has their own Creative Services department, but sometimes get busy and send their overflow print design work to us. We’ve done invitations and brochures for them on a couple occasions. The main thing we do with them is product and location photography. We have shot the Emmy statuette for them to use in their marketing materials, as well as three other trophies (the “Hall of Fame” award, and the “Television Academy Honors” award and the “College Television Awards”). We have also shot vintage Emmy programs for their archives. 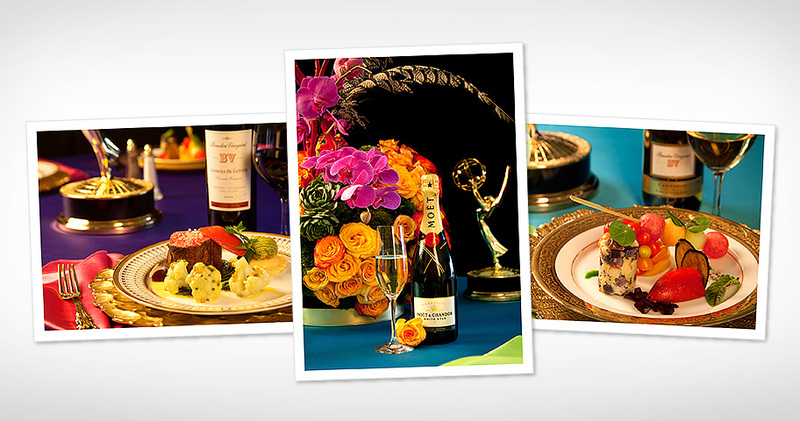 Our favorite so far was the photo shoot we did for the food and beverages served at the Governor’s Ball of the 61st Primetime Emmy Awards.